Personal Site ~ Please see the menu items for business matters. These are very uncertain times, and instability describes much of life today. Jesus is the rock upon which you can firmly stand as you weather the storms around you. According to 1 John 5:13, one of the primary reasons God gave His word to man was so that we could KNOW how we might have eternal life. It is our prayer that you will seriously consider the following truths from the Holy Bible. The Bible says that having violated His law (1 John 3:4), we all stand guilty before a holy God (Romans 3:19; James 2:10). To deny this is true would be to call God a liar (1 John 1:8-10). For there is not a just man upon earth, that doeth good, and sinneth not (Ecclesiastes 7:20). 2. YOU NEED A SAVIOR. The Bible says our sins have separated us from God (Isaiah 59:2), put us at enmity against Him (Romans 5:10), and made us unable to stand before His judgment (Psalm 1:5) or enter into His heaven (Revelation 21:27). Therefore the ungodly shall not stand in the judgment, nor sinners in the congregation of the righteous (Psalm 1:5). 3. JESUS CHRIST IS THE ONLY SAVIOR. And we have seen and do testify that the Father sent the Son to be the Savior of the world (1 John 4:14). For unto you is born this day in the city of David a Savior, which is Christ the Lord (Luke 2:11). The Bible says that the God who created all things (John 1:1) took upon Himself the form of a man (John 1:14) and was born of a virgin (Matthew 1:23) in a manger at Bethlehem (Luke 2:1-7). He lived a perfect, sinless life (Hebrews 7:26; 1 Peter 2:22) then laid down His life on the cross to both bear and pay for the sins of the whole world (Romans 5:6-8; 1 Peter 2:24; 1 John 2:2). Three days later He rose from the dead (1 Corinthians 15:3-4). So it is clear that no church can take away your sins, for it was JESUS who died on the cross for you. And no religion can take away your sins — JESUS died on the cross for you. No pope or priest or rabbi can take away your sins — JESUS died on the cross for you. No good deed or religious ritual can take away your sins — JESUS died on the cross for you. Only JESUS can take your sins away (John 1:29; 2 Corinthians 5:21; 1 John 3:5)! 4. BELIEVE ON JESUS CHRIST AND BE SAVED TODAY. If you will place your faith and trust not in yourself, not in your good works, not in your church membership or baptism, but wholly and completely in the One who came to be your Savior, God has promised to forgive your sins and give you the free gift of everlasting life (Romans 6:23; Romans 10:9-13). Believe on the Lord Jesus Christ, and thou shalt be saved (Acts 16:31). Jesus saith unto him, I am the way, the truth, and the life: no man cometh unto the Father but by me (John 14:6). For there is one God, and one mediator between God and men, the man Christ Jesus; who gave himself a ransom for all, to be testified in due time (1 Timothy 2:5-6). Death is called the ultimate statistic: 10 out of 10 people die (Romans 5:12) — 150,000 every day. What if your appointment were today? Are you ready? You can be. You now know what the Bible says: (1) that you are a sinner; (2) that you need a Savior; and (3) that Jesus Christ is the only Savior. The question is will YOU believe on Him today and be saved? Behold, now is the accepted time; behold, now is the day of salvation (2 Corinthians 6:2). How shall we escape, if we neglect so great salvation (Hebrews 2:3). 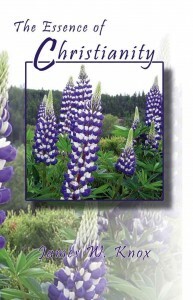 For additional information on this topic, please read this free booklet by Pastor James W. Knox.